As a christian homeschool family I take pride in providing my children with quality items to read. Of course if you're like me you understand how very difficult this simple task is. We do a lot of read alouds and my children love biographies best. My oldest son is a documentary nut so it only makes sense that he loves biographies. 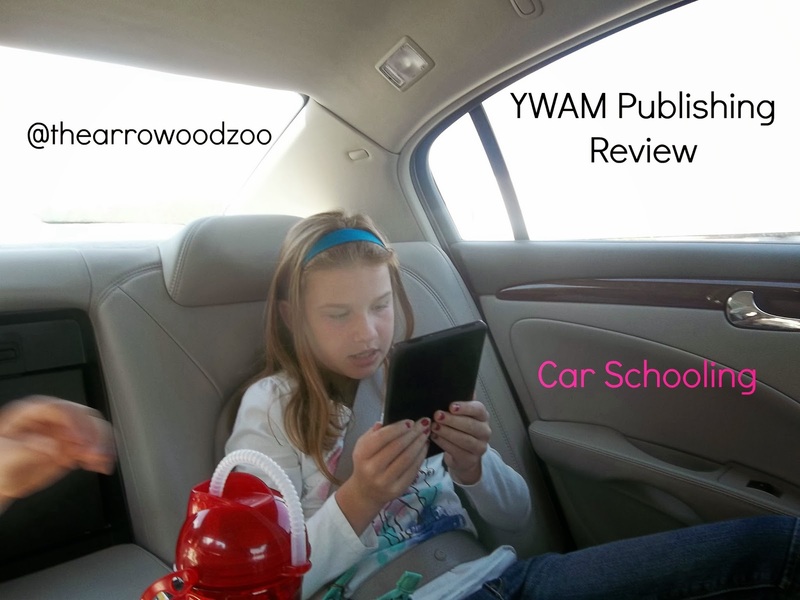 A few weeks ago The Schoolhouse Review Crew was asked to review a few items from YWAM Publishing. I was looking forward to any item from them because I knew they are a Christian company. 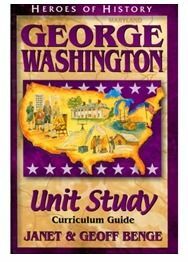 My family actually received a Kindle edition of George Washington - True Patriot and a PDF download of the Unit Study Curriculum Guide . First I have to say I wondered what "YWAM" stood for, it has my attention so I dug a little deeper to learn about the company. The company started back in the 1960s and now has over 17,000 volunteers in over 140 countries! They want Christians to make an impact in a needy world and they do that as a nonprofit organization. The Christian Hero's series that they publish is also a family favorite here in the Arrowood household. This series helps share exciting news of these inspiring people that has answered the call to missions. You get to go on these awesome journeys and see how God worked all around them. My kids have read several and some of our favorites are David Livingstone and Amy Carmichael. Alexis is actually reading Gladys Aylward right now. 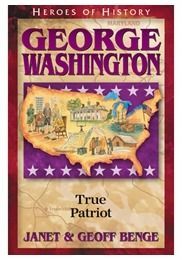 The book George Washington True Patriot is in their Heros of History collection. The book is 224 pages and targeted for ages 10 and up. We are using this book as a read aloud and all my children are listening and taking turns reading from it. Again, we have the Kindle edition and we love this book. It wasn't hard to get it to my kindle, they provide instructions if you need them. Almost daily we have sat to listen to a few chapters. As we read we have had lots of conversations just to make sure my kids are listening and keeping up while we are reading. My children are 13, 10 and 8 and we haven't had any issues with comprehending the book. As I let the kids read Alexis (10) has had some help with some of the words just simply because they are hard words for a child to read but we have sounded them out and kept going. This is actually one of Lexi's favorite presidents and she has been really involved in making sure we are reading things daily. Just the other day we had a trip to make during school time and she grabbed the Kindle and brought it along, while driving we were able to read a chapter and discuss several topics about it. My kids have been interested in the life he lead as a young boy, I personally never knew some of the trails and experiences that he had as a child because all most people worry about is what he did as the first president. He led a heroic life before and after he was famous. 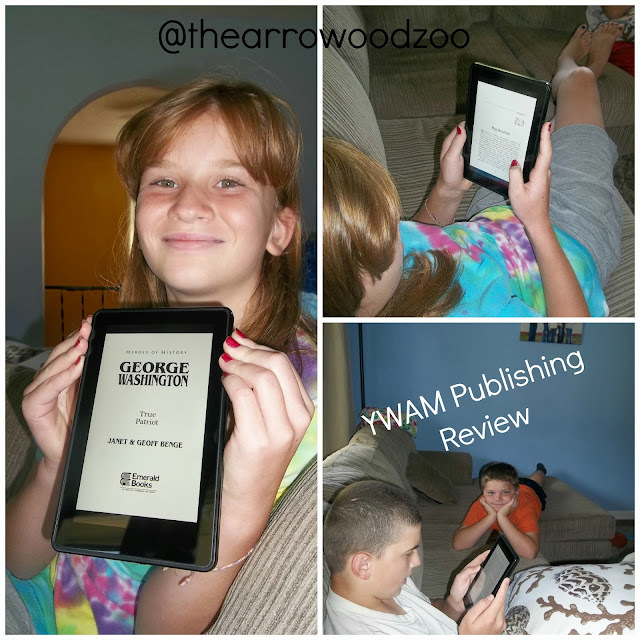 My family has really enjoyed this book and would love to own more in this series. Now a little about the cool Unit Study Curriculum Guide. The item we received is a PDF download that you save to your computer - easy peasy. There were 2 downloads to this unit. The first download is only 64 pages. The guide is able to help you incorporate more than just "reading" it helps with creative writing, reading comprehension and history/geography concepts. There was often through reading our book that we had to grab the globe/map so I could show them places the book was talking about and several where in our back yard. The great thing about a Unit Study is they are so flexible. We have educated our children for years through Unit Studies. Key Quotes - In this unit they had selected 6 quotes that could be used for memorization or just to display. 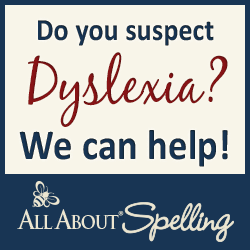 We choose to also write them for some copywork. One of our favorites quotes was " Those who stand for nothing will fall for anything." Alexander Hamilton. Chapter Questions - There are four questions from each chapter and the neat thing is that each question is on something different. A vocabulary question, A factual question, A question for comprehension and An open-ended question. Since my oldest suffered from a reading comprehension issue I naturally look for questions throughout a book we are reading. I normally stop reading 6 or so times just to get a narrative from him because that's just what it takes, over the years it has improved and I don't have to stop as often so I love it when I am getting some help from questions being supplied. We did do this verbally. Student Explorations - This area offers you those "out of the box" options that I love about a Unit Study. Here you will find ideas for hands on projects, creative writing ideas and arts and craft ideas. 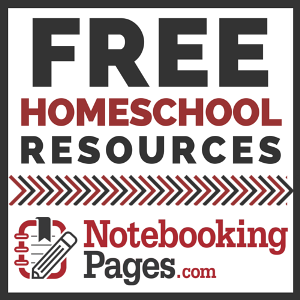 Community Links - This section helps you prepare how to research topics such as famous people and places that are talked about within George Washington True Patriot. Social Studies - This was divided into Places, Vocabulary, Geographical Characteristics and Questions. We actually took a picture of the US and placed in a page protector and used many times throughout this section for finding places talked about within the book. I also printed out a map of NC & Virginia so that the kids could do the same with the places. Related Themes - This is normal within a Unit Study to have a theme touch on different subjects. Again, a huge plus to using a Unit Study. There was some math, of course history and politics mixed with some science. Culminating Events - Helps close everything up and gives you some ideas as the teacher on how to do so. Books & Resources - This area lists books and resources that was or could be used with this unit. As I stated before my daughter loves George Washington, she has really took off with several projects and tried to read ahead some too! My oldest loves documentaries so this was a good fit for my family. We have all enjoyed the reading material and the ideas that have been provided from the Unit Study. I plan on using this publisher again and I love the price! Read more Schoolhouse Reviews on the blog here . We have read many of these books and love them too, but never done one of the studies with them. I will have to check those out! Philip has been reading the C.S. Lewis one. He read the Narnia Series last year and loved it so I though it would be a good fit. He is quite enjoying it and has been sitting at his desk reading the book with the Wikipedia article on C.S. Lewis open on his computer. At one point he brought up Google Earth and explored his home town on street view. This looks great! We love using Unit Studies, and I was really wondering about this one. I am an American History buff, too, so I am especially drawn to it.